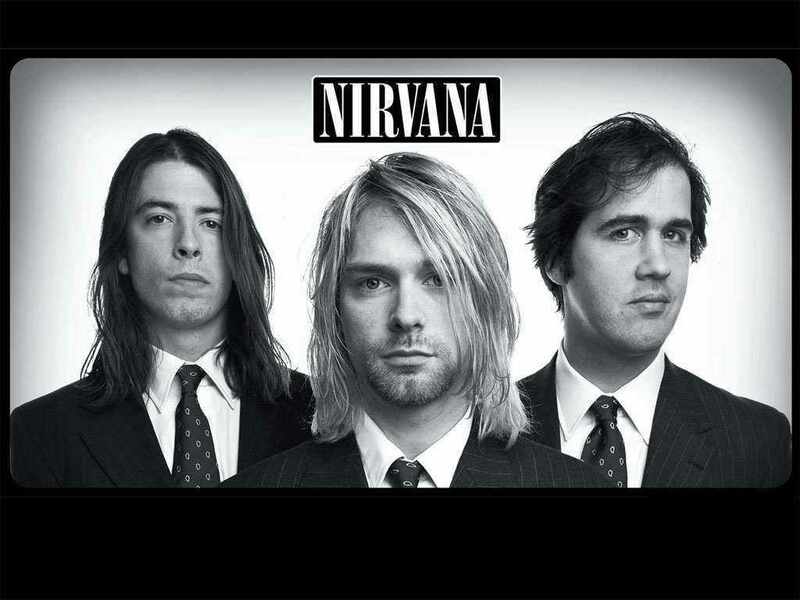 Twenty years after the death of Nirvana frontman Kurt Cobain, the band was inducted into the Rock-n-Roll Hall of Fame. Last night’s induction ceremony at Barclay’s Center in Brooklyn, NY celebrated the talent of rock-n-roll greats the likes of Kiss, Bruce Springsteen’s E Street Band, Peter Gabriel, Yusuf Islam (formerly Cat Stevens), Hall and Oates, and Linda Ronstandt, but one of the most noteworthy inductions of the night was definitely that of the grunge rock pioneers Nirvana. This beloved band who have meant so much to so many people were, as R.E.M.’s Michael Stipe put it, “a voice for the disaffected.” Their music continues to influence and inspire listeners, and their spot in the Hall of Fame is certainly well-deserved. The surviving members of Nirvana, Dave Grohl and Krist Novoselic, took the stage at the ceremony to perform some of the band’s songs with a variety of singers standing in for Kurt Cobain, including: Joan Jett on the angsty anthem “Smells Like Teen Spirit,” Kim Gordon on “Anuerysm,” Annie Clark of St. Vincent on “Lithium” and Lorde on “All Apologies.” Once the ceremony concluded, the band moved on to Saint Vitus, a small Greenpoint metal club, to play a secret show. There, they were accompanied again by Jett, Gordon and Clark; and also joined by Dinosaur Jr.’s J Mascis and Deer Tick’s John McCauley. The 230 member audience had the great fortune of seeing some of rock-n-roll’s greatest alternative talents come together to celebrate perhaps the most influential band of the 1990’s.